If you have a business that operates from an office, then you will face the hassle of trying to maintain its cleanliness as much as possible to provide a good working environment for your employees, as well as portray the best image possible to potential clients or customers. As the person who should be concerned with that, you will wonder whether you hiring your own cleaners or contracting a cleaner service would be of greater benefit to you and your business. If you know what the pros and cons of hiring a cleaning service are, then you will have a better time deciding what a more beneficial step is. What you might not realize at first is that hiring a cleaning service does save you a substantial amount of money. Think of it this way, if you hire a cleaner to work for you at your office, they will have a fixed salary that you will not be able to change based on cutting costs or other factors. If you hire contractors, however, you can always look for ones to work within your given price range. Cleaning services usually tell you what packages they offer so even if you want to cut on costs you will still get a level of cleanliness. If you do hire a cleaning service instead of getting new employees, you will save yourself the hassle of training new employees for certain tasks. If you run a business in Singapore, for example, it would be much more cost efficient to hire a cleaning service that has a full-fledged team taking care of everything rather than hiring a full-time employee. 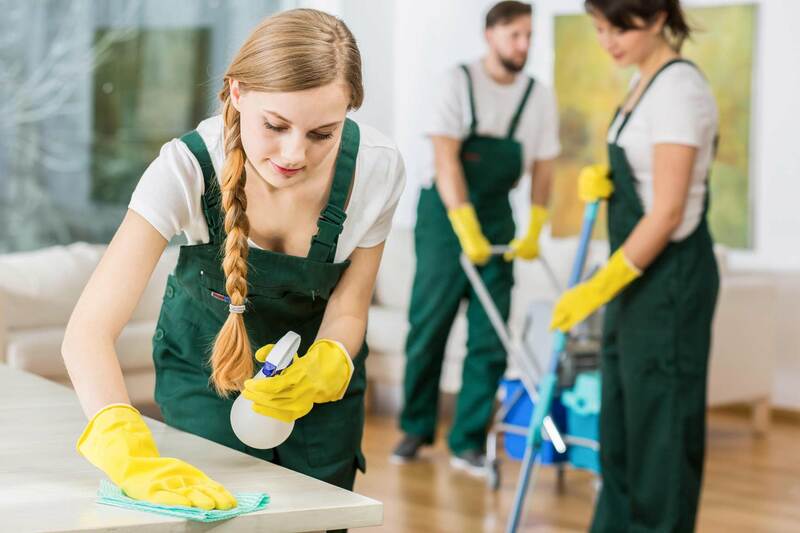 It’s definitely worth looking up office cleaning services in Singapore that have professionals who are trained to work in cleaning and will not need time to figure out and get through their assigned tasks. This is a huge pro because you will not be wasting your business’s resources to find new employees that are up to your standard and train them as well. As mentioned above, cleaning services have professional workers whose jobs will be of great quality in a consistent way. That is not like if you hire your own employees who, if they are ever incapable of performing a task, will leave your office lacking. One thing to keep in mind if you plan on hiring a cleaning service is that the people coming in to clean are not your employees. This means that you cannot motivate them into doing better, you will not know if they are as trustworthy as if you had hired them yourself. This is risky to your business because you will practically be having strangers all over your office with access to a lot of things and places. When hiring a cleaning service you will have very little control over what their cleaning method, as well as equipment, will be. You will also have little control over what is assigned to each worker because they will have their own managers and supervisors and you will have basically no say in the way they conduct their business. Another con hiring a cleaning service might have is that there is no flexibility offered to you. Most cleaning services require you to have a long term contract with them to ensure that they stay in business. This lack of flexibility puts you at a liability if you do not feel comfortable with this cleaning service. Whether you choose to hire a cleaning service or not depends on if you think that the pros of the service outweigh the cons. If you do decide to hire a cleaning service for your office be careful of which contractor to choose because as mentioned you will have to have a contract with over a long period of time.